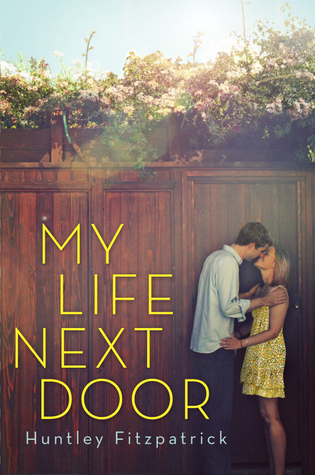 MY LIFE NEXT DOOR was published on June 14th, 2012. It´s a story about first loves but also friendship, family and finding yourself. 2. Jase, Jase, Jase…where did you find the inspiration for such a great guy? Thank you! Jase is actually a character who has been in my head for a long time. I recently reread a story I wrote when I was fourteen and the hero was a good-natured boy who was close to his family, loved animals and was good with his hands (the last is something that has always appealed to me). Like Samantha, I was never a fan of boys who were into lots of drama and I really wanted to write a book where the nice guy gets the girl, rather than losing out to the emo rebel bad boy. The two manuscripts I’d completed before this both had challenging heroes, and I have to say it was a pleasure doing Jase after them. 3. What is one of your favourite sentences in the book? The first one that comes to mind is Jase’s response when he sees Samantha in her silly waitress uniform (short shirt, sailor top and little red scarf). Embarrassed by his raised eyebrows, she hurries to tell him her boss designed the uniform. Jase says, “He must have a rich fantasy life.” The understated humor of that is very Jase. 4. You mentioned in an earlier interview that like Sam, you enjoyed watching people. Did you ever see something funny? (or someone resembling Jase)? A few years ago, my father and I were sitting on a park bench in Boston Common on a beautiful spring day. A boy and a girl came walking along—she had long blond hair and was wearing a white dress and they were holding hands. Something about the way they looked—like real friends in addition to boyfriend and girlfriend, got to me and when I sat down to write the book, I remembered them. 5. You have a cast full of wonderfully fledged characters, which one was the easiest to write and which one was the hardest? Tim and Jase were the easiest. They just seemed to come to me. I struggled with Nan the most. I wanted to make it clear why they were friends, and also why that friendship was in trouble. I also worked really really hard not to make Grace and Clay into Disney villains, to give each of them some humanizing factors. I hope that worked! 6. Did you listen to a particular song while writing this book? Or what song would like to hear in the soundtrack if MY LIFE NEXT DOOR were to become a movie? Seaside by the Kooks. And the Beatles Ob-la-di, Ob-la-da completely reminds me of the Garretts. I listen to that song in the car a lot with my kids and they always sing along, so it reminds me of happy, messy but lovely family life. 7. Have you thought about writing a companion book like maybe about Andy or about Tim (I have a big soft spot for Tim and Alice and really enjoyed Andy’s first attempts at dating. Plus I would love to continue getting glimpses about Sam and Jase)? I’ve not only thought about it, I’ve done it. I did about ¾ of a book about Tim and Alice right after MLND, but that wasn’t the one that was picked up by my publisher, so I put it to the side (for now). I do hope eventually to return to it, though. Both Tim and Alice are a lot of fun to write. And I’d love to do a book where Andy finds someone. I’d even like to do one on Nan where she figures herself out. 8. The querying process can be daunting while exciting. How was it for you? Did you send a lot of queries out? How long did it take you to snag your agent? I did send a lot of queries, and got some encouraging answers but I actually got my agent by button-holing a colleague of hers at a writer’s conference. We’d worked together when I was an editor, and I mentioned that I was writing now. She very kindly told me to send her my manuscripts, and encouraged me to keep going, even though the first two were not quite what she was looking for. MY LIFE NEXT DOOR was the third one and she passed it on to her co-agent, Christina Hogrebe, who liked it and signed me up. In short, I got really lucky. 9. What is an advice you would give to aspiring authors? Read, read, read. I am a huge believer that reading good writing sinks into your brain and helps you write better. There are some great books out there on how to write—notably Anne Lamott’s BIRD BY BIRD and Donald Maass THE FIRE IN FICTION, but what has helped me most to be a writer is being a livelong, passionate reader. I also believe in keeping a journal, and always carrying around a notebook to jot down ideas. 10. Can you tell us about your next project? It’s tentatively entitled WHAT I THOUGHT WAS TRUE, and will come out next year. It’s set in the same area as MY LIFE NEXT DOOR, but with a very different cast of characters. It centers around Gwen Castle, a working class girl who has grown up on a privileged island, and Cass Somers, the boy who is her Worst Mistake Ever and inescapable crush, whom she thinks she can spend the summer forgetting, until she learns that he is going to be the “yard boy” onthe island this year—and has no intention of being forgotten. You automatically have one entry if you comment on this post 😀 The contest is open internationally and will end on August 3rd, 12pm (EST). THANK YOU AGAIN SO MUCH HUNTLEY!!!! Previous postCreative inspiration, where art thou? \and I follow Huntley on Twitter. Great interview. The book sounds amazing. Thanks for the interview! I’ve heard such good things about this book, I can’t wait to read it! Fantastic interview! And a book where the nice guy wins? I already love it. This is exactly what I’ve been ranting about recently so I’m glad there’s a book out there that shares my views on the whole bad boy LI. I tweeted about your interview, btw: https://twitter.com/colin_d_smith/status/226702219238572034. From the sound of it, this book was written specifically for me, and I can’t WAIT to read it! Thank you so much for doing a giveaway! I tweeted: https://twitter.com/katyupperman/status/226706563254083585 and I followed Huntley on Twitter, so that’s an extra four entries, I think. Thanks again for the fantastic review, and for the giveaway! Great interview. I haven’t read MY LIFE NEXT DOOR yet and I would love to be entered. Thank you so much for doing a giveaway! You are so awesome, Elodie! I love that you asked her for an interview! And she is just as awesome to say yes. It\’s such a great interview! I SO want to read this book now! I’m off to tweet & follow. Have a great week! Great interview. I have My Life Next Door at the top of my wishlist. I looooooved this book – i can’t even express that thoroughly enough!! Great interview! Can’t wait to read more by Huntley! Awesome interview and super wonderful giveaway! Thanks, Elodie! I do now follow Huntley on twitter and I retweeted one of your tweets because I seem to only be able to tweet from my phone these days (silly computer). Anyway, I would LOVE to win a copy (the book sounds crazy awesome!) and thanks again! 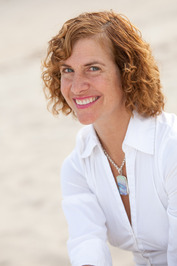 I loved this book and this is a great interview…so excited for the new book! Wonderful interview. Can’t wait to read the book.